2011 SkyTrac Quad at Beaver Mountain, Utah. That all changed in 2010 when a group of CTEC veterans started Skytrac in Salt Lake City. One of them was Jan Leonard, the former president of Doppelmayr CTEC who “retired” in 2007. 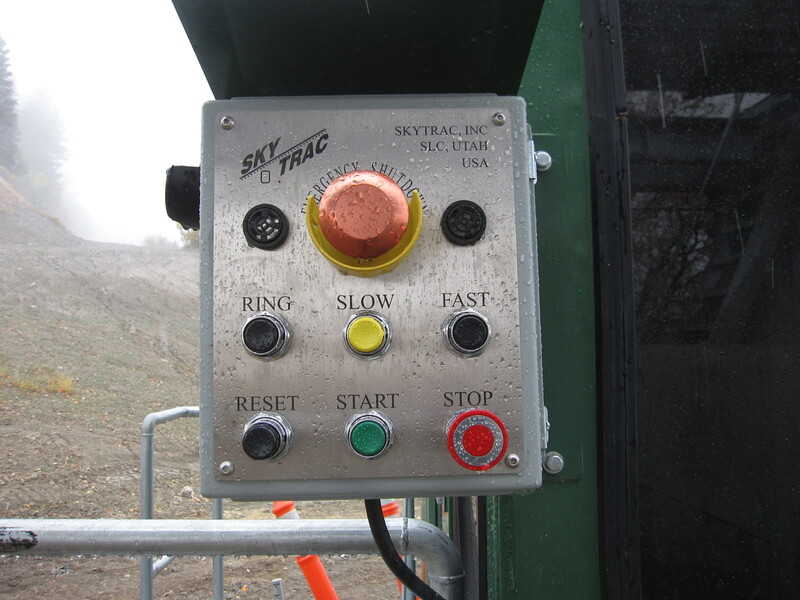 Skytrac’s first major project was a replacement drive terminal for a Hall double at Monarch Mountain in Colorado. In tribute to their first customer, Skytrac named its drive terminal models the Monarch and Monarch XL. Skytrac’s strategy seems to be to build simple and economical lifts that appeal to smaller resorts. All of their lifts feature the Monarch drive/tension terminal with a fixed return. One can’t help but notice the resemblance to CTEC’s lifts. SkyTrac Controls. They look like a CTEC! I couldn’t talk about Skytrac without bringing up their chairs. For some reason they abandoned the classic bail chair for a Euro-style chair. I think they look strange. As someone who operates lifts, I question the practicality of bumping a chair with no bail. 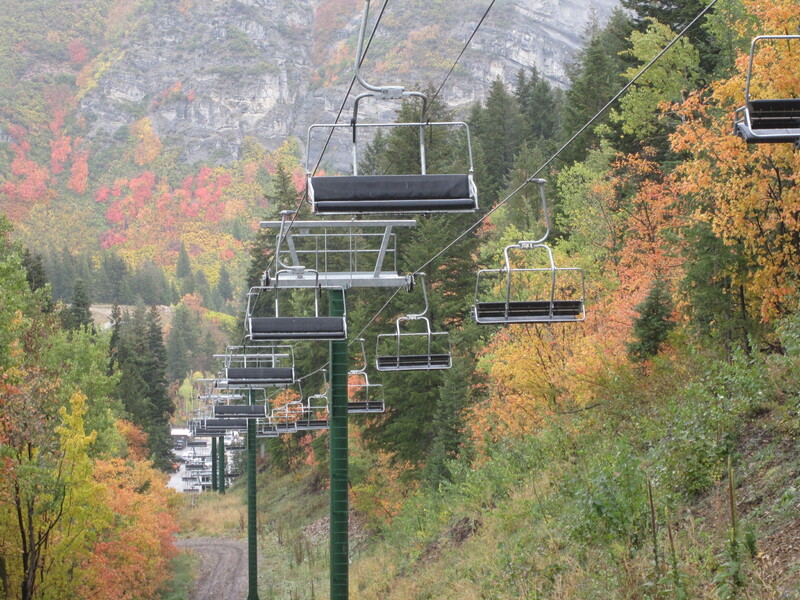 Ray’s Lift at Sundance, Utah with the goofy SkyTrac chairs. Now four years into building lifts, there are 17 complete SkyTracs at 14 resorts across the US. Last year was a big year for SkyTrac with six new lifts built including some pretty high-profile projects. Crystal Mountain chose Skytrac to replace what remained of the High Campbell double that was taken out by an avalanche. 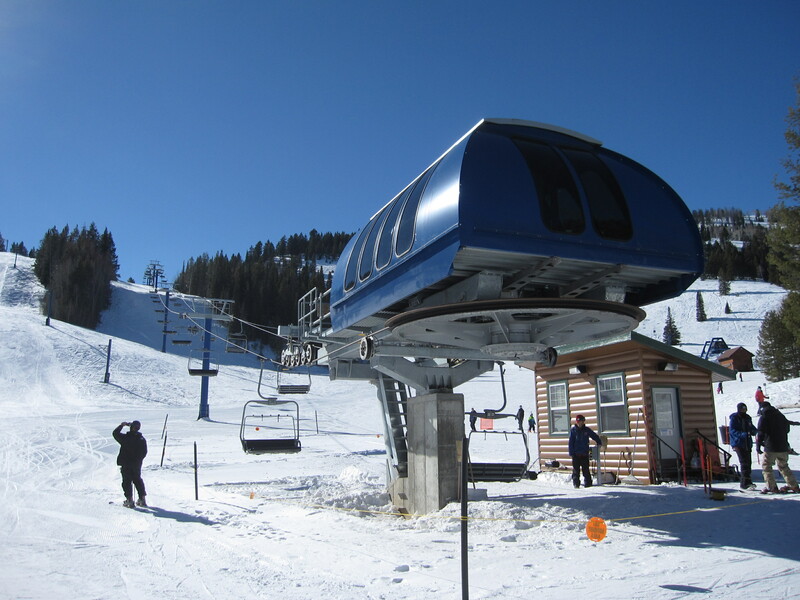 Taos’ new summit lift up the famous Kachina Peak is also a Skytrac. Everyone wants to know whether Skytrac will get into the detachable game. No American manufacturer has succeeded at building detachables for very long. Riblet and Partek went out of business trying and we all know what happened to Yan. Skytrac already has an agreement to be the North American distributor for the Swiss manufacturer BMF. Whether Skytrac will use BMF detachable grips or develop their own remains to be seen. I could also see Skytrac stick to their niche providing attractively-priced fixed grips lifts. After all, around 70% of lifts built today are not detachable. Fixed return terminal and SkyTrac operator house. 2015 looks like a down year for Skytrac with no projects announced so far. One of their repeat customers, the Hermitage Club, went to Doppelmayr for their first detachable going in this summer. It’s still early and I imagine Skytrac will build at least a couple lifts before the snow flies. I am looking for an address for Maynard Russell. Does he work for your company? Do you know why some SkyTrac’s feature GaraventaCTEC / DoppelmayrCTEC’s Garaventa chair design? I know that it was an alternate carrier for GaraventaCTEC detachables, that Jan Leonard helped design it, and that it was DoppelmayrCTEC’s standard carrier for the mid-2000s until it was discontinued after the 2010 construction season in favor of the EJ chair. 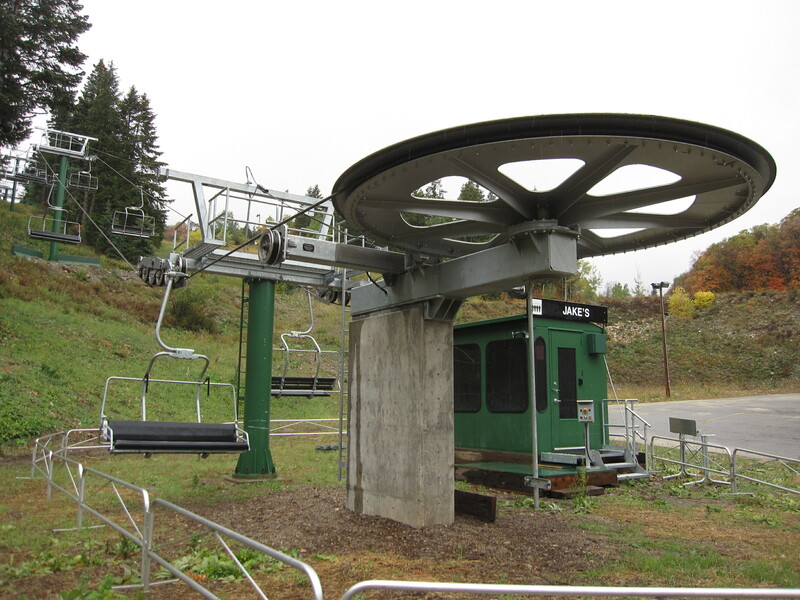 Even though it is a Doppelmayr design, I have still seen it used on at least two new SkyTracs (Little Beaver at Beaver Mountain, UT from 2011 and the SnowPine Quad at Holiday Valley, NY from 2014). The chairs on the SnowPine Quad came off the old Morningstar lift, which was a VonRoll quad that had the chairs replaced. If you look closely you can see that they have Garaventa CTEC logos rather than Skytrac logos. And the Little Beaver chairs were extras from the construction of Harry’s Dream, which was the old Germania at Alta. Note that BMF meantimely has a big chinese investor in its background that also own a steel parts factory in China so i think they will expanding their business surely in the next years. BMF detachable clamps are grounded at a Felix Wopfner licence from Austria, formally an important Austrian ropeway manufacturer. Does the La Roca lift in Spain which is a yan detachable have skytrac chairs? I know for a fact that those are not Skytrac chairs but they do look similar.